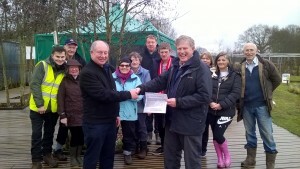 Jealotts Hill Community Landshare (JHCL) has received a generous donation of £950 from the Berkshire Masonic Charity to install lighting and to buy smaller features to enhance a new canopy for the benefit of volunteers and visitors. The Berkshire Masonic Charity, which launched twenty years ago, gives grants to local charitable causes in Berkshire, and plans to continue to do so well into the future. The main objectives of the Berkshire Masonic Charity are exclusively charitable, in which all the funds have been raised by the Freemasons of Berkshire. The new relationship between both charitable causes was sparked by a JHCL volunteer sharing his experiences and bringing the two community organisations together. 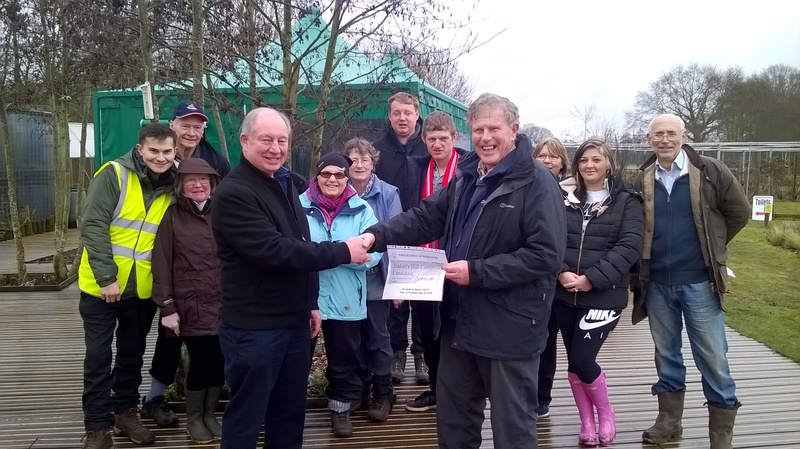 The additional purchases will enhance the large canopy purchased with a grant received from the Tesco Groundworks Bags Of Help Grant Scheme earlier in the year and installed by local company Zenith CSL of Wokingham.